Trying to find pubs in Burton Salmon that have current news? You’ve come to the right place. We’ve got every pub and bar in the UK listed. Whether you’re looking for a pub or bar to play darts, somewhere to play pool or just want to have a look at a menu before you go, we can help. 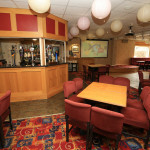 We are a family friendly club with a private room for hire. 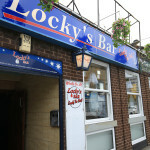 We serve Real Ale and many more of the nations favourite tipples. The Club is a members club, but we are very welcoming to non-members also and no need to sign in. We hope to see you soon!